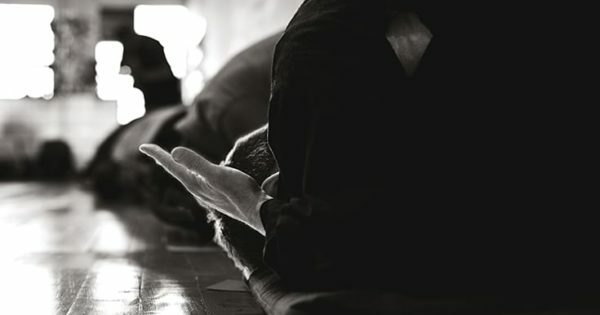 Buddhists tend to dismiss prayer, which perhaps isn’t surprising. After all, aren’t we trying to get away from putting the responsibility for our spiritual development on something outside of us? And if we were to pray, whom would we pray to anyway? In this day and age, prayer is often seen as superstitious and embarrassing. We forget that we function in dualism most of the time and that there are benefits to knowing what we want and asking for it on the spiritual path. Prayer can help us do that. Prayer is like riding a bike—our steering will always naturally follow our gaze. The direction we go in is up to us. If we direct the mind toward making money, we have a better chance of earning money. If we don’t, it’s doubtful we’ll have enough to pay the rent. The same is true with our spiritual life. Spiritual progress—human progress—requires clear intention. Prayer is a means to help us move forward with some sanity. So how do you pray? You can recite a particular prayer or pray in a spontaneous way, using your own words. Whichever way you choose, it’s important to make the prayer personal. You can do that by making the supplication specific so the practice doesn’t get abstract. You might begin by focusing on a friend who is suffering from illness or on a mistreated animal. Or you might supplicate for a way out of an unhelpful habit or addiction. At times praying will naturally segue into resting, beyond words or ideas, into the fathomless nature of being. Often we supplicate because we don’t know what to do. Praying can be a way of giving over to the mystery and movement of life. It expresses an acceptance that we don’t know everything and never will—that we only ever see a little piece of things. We don’t see the infinite web of interconnected relationships. Still, we have our part to play in that bigger picture, and everything we do in life matters. It takes a big mind to live in the heart of this paradox— to be awake and responsive while accepting the indeterminate nature of things. This is the spirit of prayer. We can pray for anything. But what we pray for influences the direction we go in and the transformative nature of the practice. Praying for happiness and to get rid of our suffering keeps us within the boundaries of ordinary mind. Prayers don’t have the same poignancy and liberation when we are trying to avoid life and not feel the world around us. If we move out of our individual desire to be free from suffering and into the bigger view where we acknowledge that suffering is part of living in this body and world, we experience the profundity of prayer. Twice a year, my community gathers for a group retreat called drupcho, where we recite a hundred thousand prayers by the renowned meditation master of our lineage, Kunchyen Jigme Lingpa. Because this is a group practice, and we recite the prayer aloud again and again, it demands a lot of energy and focus. When we don’t pay attention, our practice becomes rote and the energy in the room sags. Other times prayers flow effortlessly. When that happens in a group, the whole atmosphere comes alive and the power of prayer is palpable and strong. Receive, how personal they are, and how much courage people have in asking. When we listen to the requests, we feel the presence of all those people as if they sat gathered among us. 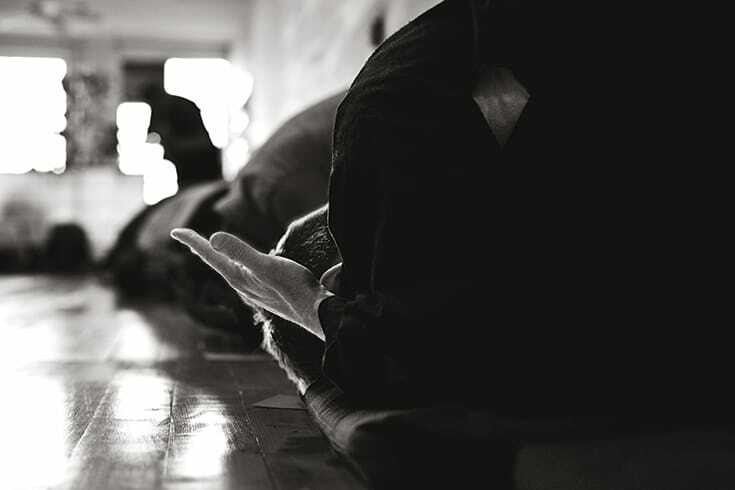 Their prayers touch us and open up our practice, generating an atmosphere of healing. When you pray, it might be to an image of the Buddha or your teacher. Or you could pray to the nature of your own mind, as inseparable from the nature of the deity. Sometimes you might not even know to whom you are praying, but the asking itself has its own power. In fact, if you think about it, do you really have to know? And can you? the nature of the Buddha, the teacher, or anything in this world is fathomless, mysterious, and doesn’t lend itself to being known in a conclusive way. This is particularly important to reflect upon, because in the modern world, praying to an object often seems contrived. 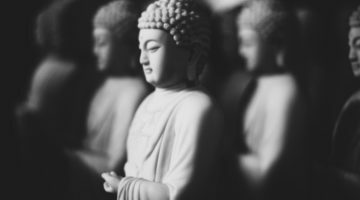 We might want to believe in a deity or the Buddha, but it feels artificial. 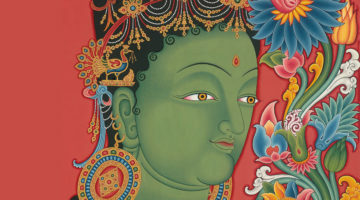 One of the most essential and unique aspects of this tradition is the understanding that nothing possesses intrinsic existence. Often we assume that we—the real one—are praying to an imaginary deity. But in fact, even that which we call “self” manifests from an infinite complex of relationships arising and falling away each moment. everything is imaginary, in that it resists definition and is dynamic and open to interpretation—or in Buddhist terms, everything is empty. Prayer is a means to help us move forward with some sanity—a practice that helps us utilize the world to wake up. We can pray to our teacher or the Buddha as a way to move forward on our path. We don’t necessarily have to see this dualism as a problem. In fact, to see dualism as a problem is dualistic. What we call path is a way of navigating dualism by engaging our life and experience in a positive way. And prayer helps us do that.